What is a Certified Pre-owned Home (CPOH)? 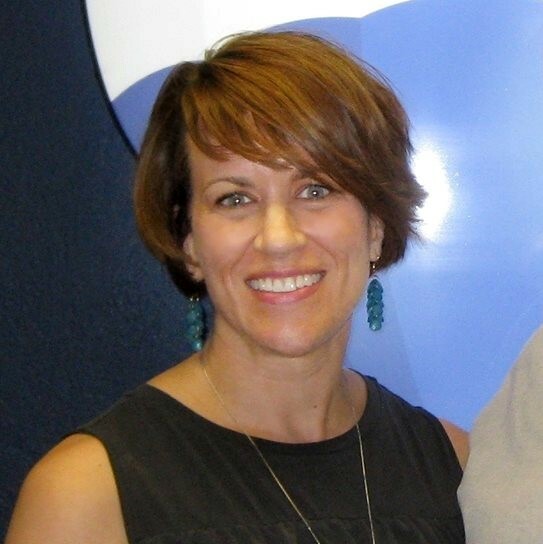 A CPOH listed with Natalie Bratton is a home for sale in which the Sellers take the extra time and money to ensure you are purchasing the best home possible. They go the extra mile to set their home above the competition. 1. The sellers agree to have a full home inspection prior to listing the property. 2. Then they have all the defects repaired or replaced. 3. The sellers are able to provide prospective buyers more information regarding their property; such as, the age of the roof, heat and air systems, and the hot water tank. 4. They also offer the buyer a First American home warranty for 1 year. This is a discount repair program for homeowners. 5. They open title work as soon as the home is listed to ensure title is clean of any liens or "clouds". This means you can have peace of mind and confidence in your purchase. You can move into this CPOH knowing the sellers have disclosed everything they know about the condition of their home. You can relax knowing there won't be any major repair bills along with this transaction. When it's closing day, all you have to do is move in! Since we know something can work today and break tomorrow, you get a home warranty which will reduce the amount of any costly repairs in the future. Very few homes on the market have been pre-inspected and repaired. This is a big deal! You get peace of mind too. Pre-inspecting the property, will eliminate any bad surprises regarding title or the condition of your home after a contract is made. Being a CPOH sets you apart from the other homes on the market. Being a CPOH gives you a marketing and selling advantage over the competition. If two homes in a neighborhood are priced the same, are the same age range, and approximately the same size and style; wouldn't you prefer to make an offer on the house that has already been updated and repaired? Sellers, you also get special marketing and a sign in your yard announcing to the world that your house is a CPOH! Now more than ever this program is needed. As of November 1, 2015, the Oklahoma Residential Real Estate Purchase Contracts no longer have a repair cap negotiated in the contract. It is incredibly important for home sellers to ensure that costly repairs after inspections won't happen and won't bust a contract. 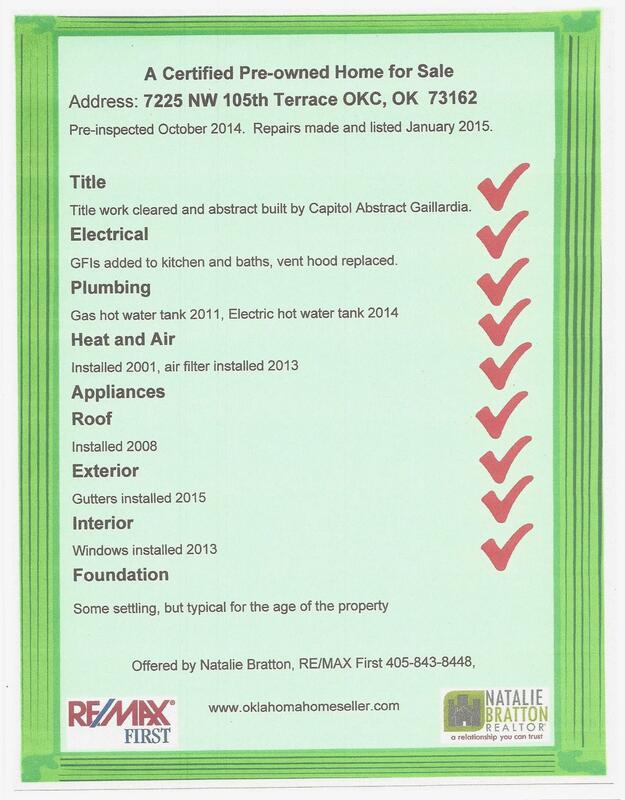 Contact Natalie today to make your Oklahoma home a Certified Pre-owned Home!